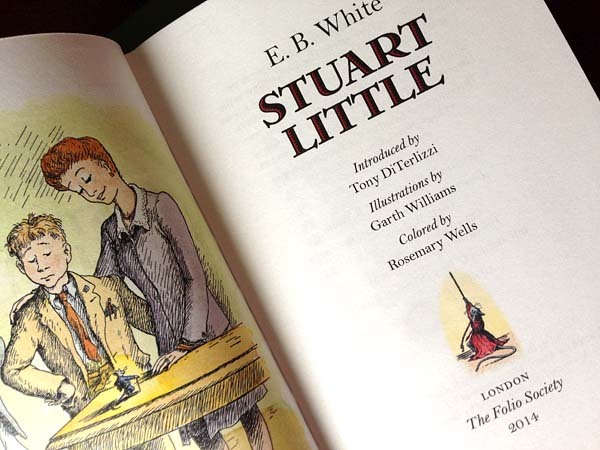 I had the honor to write the introduction for the Folio Society’s edition of E. B. White’s classic, Stuart Little, which has just been released. In the sagging top shelves of a hand-me-down bookcase in my childhood bedroom, several literary mice had made a nest. Alongside many beloved classics sat the maternal Mrs. Frisby, the reckless Ralph A. Mouse, and of course, there was the stalwart Stuart. Stuart Little was a book of many firsts. For me, it was one of the first chapter books I read on my own. 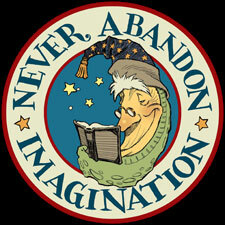 And, because of its short length, it was also my first introduction to E. B. White’s evergreen writing. Even today, his is the kind of prose that entices you to curl up in your favorite worn armchair on a rainy afternoon with book in hand. His stories speak the dialogue of a simpler bygone era. His characters talk like those from old beloved movies of my youth like Its A Wonderful Life and the Our Gang shorts. To this author, White’s words belie their simple construction and reveal a master wordsmith. 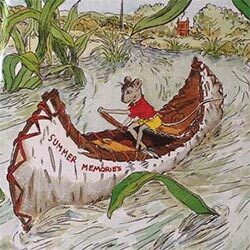 Aside from my personal nostalgia, Stuart Little is also a first for other, more prestigious reasons – for it was not only White’s first book created for young readers, but also Garth Williams’ debut as a grand picture-maker of children’s literature. Theirs is a bookmaking marriage that has endured, forged in the tradition of A.A. Milne and E. H. Shepard or even Lewis Carroll and Sir John Tenniel. I was thrilled at the prospect of writing this, not only because I am a fan of White’s books, but because I have always felt an artistic connection with Garth Williams’ work. His scratchy ink lines, drawn from astute observations of nature, flow from my hand in a similar style. His art, like many that I have listed here before, inspired and formed me as an artist. I am proud to say that Angela and I have some of Garth’s originals hanging on the walls of our home. I pause and marvel at them almost every day. 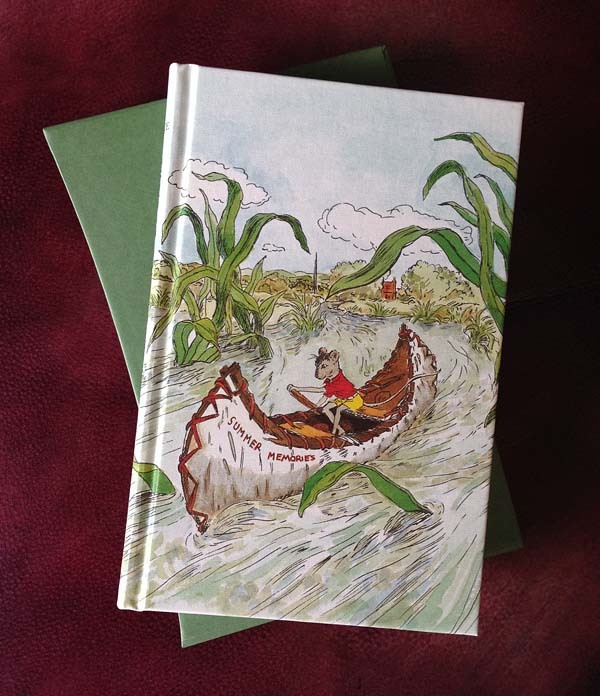 You can check out more Folio Society editions and see details on their edition of Stuart Little at their site.